Due out this winter in Japan. D3 Publisher has announced Shiarase Shou no Kanrinin-san, or Happy Manager, for PlayStation VR. 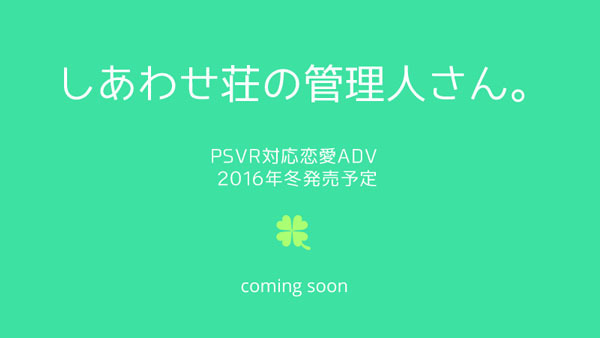 Described as a love adventure game with PlayStation VR support, the game is due out in Japan in winter 2016. More details will be shared at a later date.